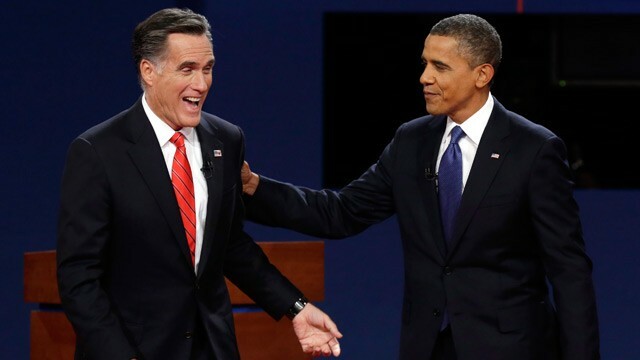 Audiences tuning into the second of three debates between President Barack Obama and Governor Mitt Romney last night were expecting what one member of the town hall audience described as a “knock down, drag out fight.” They were disappointed. Instead, the debates derailed just a few minutes in as the two candidates realized they agreed with each other on major issues. After a tear-filled exchange, the two men embraced. The audience was quiet as they began to publicly discuss how to improve the economy, job growth, and enact immigration reform. Half-way through what should have been a debate, when the two candidates realized that half of the crowd had left the auditorium, they laughed. The two then retired to work through the details of their plan. Outside the town hall, Republican and Democratic attendees began to riot. A police car was overturned and a nearby preschool was set on fire. A woman then clubbed him in the side of the head with a board ripped from a local church that had been desecrated in the violence. “Death to all RepubliKKKans,” she screamed, the triple “K” somehow enunciated. News commentators were also aghast. Fox News ran a headline titled “Romney: A Modern Day Benedict Arnold,” while MSNBC commentators simply grunted and flung feces at one another. Today, the country still reels as violence sweeps across the nation. We’ll have more news as it becomes available. Brad C. Hodson is a writer living in Los Angeles. His novel, DARLING, will be released at the end of the month. For more information on his work, check out his Bibliography page.